All France is trying to be more than a a rugby team playing twice a month in the Shuto League. 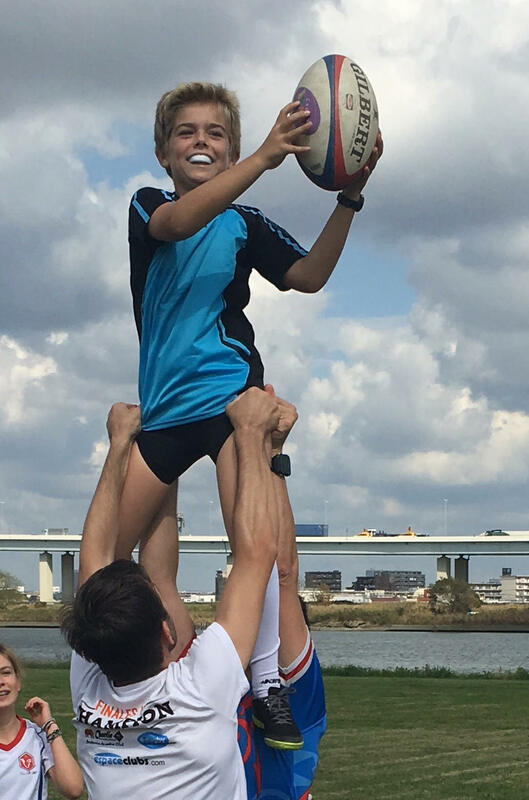 In fact, what matters the most to people who spend hours of their time to make this club run, is building a friendly and festive atmosphere, being a part of the community, and of course, sharing the rugby values here in Tokyo. This is why, after a long break, All France has a rugby school, once again. In the past, the school was very popular and gathered more than 50 young boys and girls, among which, 2 became rugby professional players. October 20th, Training with the senior players. 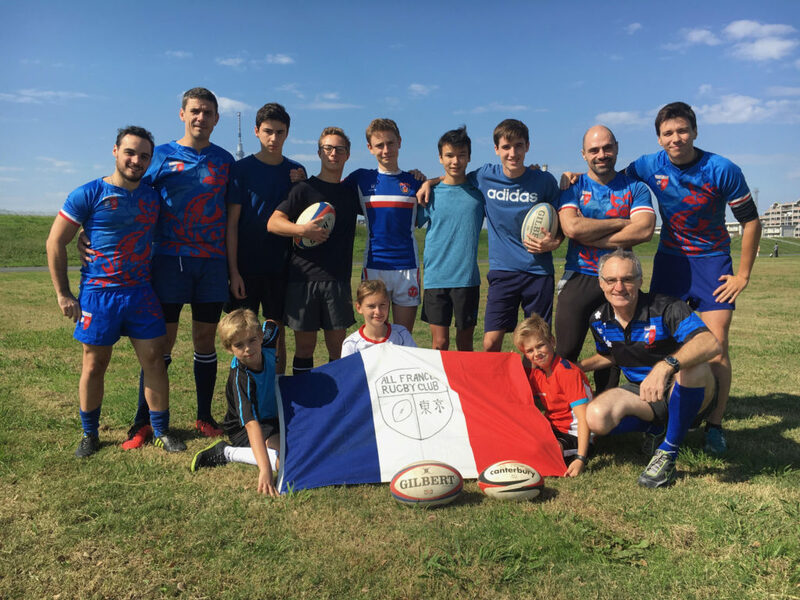 The rebirth of the All France school is due to the dedication of Romain Precheur, who joined the team in 2017, and decided to start a rugby school in Tokyo, as he did back when he lived in South Korea. The school gives training sessions to children from 12 to 18 years old every Saturday morning from 10 am to noon. Children learn the basics of this noble game, in a safe environment. They play touch rugby, and they sometimes play against other international teams in Tokyo. This beautiful story will continue with the training next Saturday (November 3rd) at Arakawa River sport field (Hirai station). Should you have children interested in playing rugby, do not hesitate to bring them, and help building the future All France Rugby Club. ← AFRC 83 - 7 OLIVERS What a pleasure !